See more information and photos of . See more information and photos of John - Admin. I have never self-driven in Sri Lanka and never would. That said it is an option but as the cost will be similar to having a car and driver most people choose the latter option. The style of driving is very different to that of the UK and indeed Europe in general. In congested areas, mainly the west coast and major towns and cities it is very difficult to navigate through the traffic. Accidents are common and trying to avoid damaging a hire car could be very stressful. If the main reason you are not keen on a driver is due to having to make a plan then I think there is scope to agree with the driver that you want to remain flexible. There is no need to arrange times. You can use mobile phone text message or whatsapp to make plans at short notice. 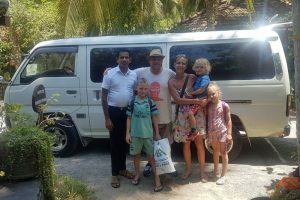 Finally, a lot of people believe that they will see more of the country driving on their own but I believe the concentration required will ensure that you eyes remain on the road and not on the beautiful Sri Lankan scenery.